Salt the Spoiler Free one line review: Salt is a good action film but slightly generic and not quite as good as I’d hoped for but certainly better than a lot I’ve seen. 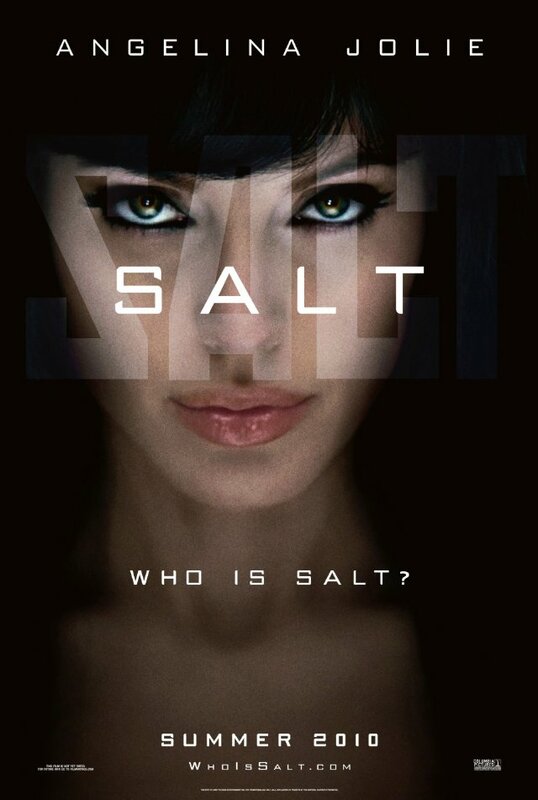 Salt isn’t a bad action film and I don’t think it suffered from the much hyped switch from Cruise to Jolie. Given I like a lot of Cruise’s work and not a lot of Jolie’s (Wanted being an example of a film that disappointed) was a pleasant surprise. Liev Schreiber and Chiwetel Ejiofor were both good in their supporting roles but this was no Borne style thriller where we see the action from both the side of the hunter and the hunted. I can’t think of any other characters who really even stick in my mind: Vassily Orlov and Mike Krause were included just enough to serve their respective function as spymaster and husband/provider of spider venom. The focus was heavily on Salt throughout. It doesn’t seem entirely sure if it wants to be Bond, Borne or a generic action film. It didn’t have its own definitive style but few films achieve that – the Borne trilogy probably being the most recent action films to do that. It had the directing style of Phillip Noyce’s earlier work on Tom Clancy inspired films with a bit of the Borne style mixed in. Thankfully they made the film without resorting to gratuitous slowmo / fastmo camera action that have been so in vogue in recent years. There were some good action sequences. The chase on the roads where Salt jumps from vehicle roof to vehicle roof sticks in my mind. The assassination attempt, the boat sequence and her escape from the police convoy less so. The effects didn’t gratuitously distract – Salt jumping down the elevator shaft was a bit of an obvious effects shot but it wasn’t as distracting as the Face running along a crane arm as it crashes to the docks in the A-Team last week. The plot reminded me of a description from a book written in the ‘80s of how Spetsnaz and KGB forces would open a war with the West by mounting attacks on America. This version was lower key and someone had had to do some work to cope with the change from the cold war to a friendlier Russia. There wasn’t as much of the which characters are traitors as I’d expected from the trailers and Salts disguise wasn’t the full face latex mask much beloved of Mission Impossible since the 60’s. Overall Salt is a good action film but slightly generic and not quite as good as I’d hoped for but certainly better than a lot I’ve seen.